Invented in France in 1795 by Nicolas-Jacques Conté especially for drawing and sketching, Conté Crayons are made from a blend of natural pigments, kaolin clay, and graphite. 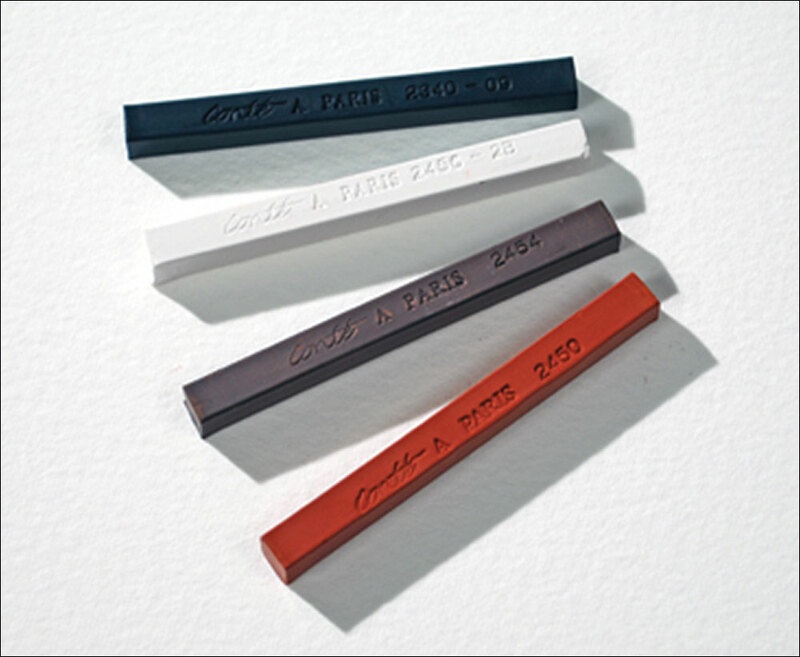 The Conté crayon has been used by many of the world’s greatest artists, including Picasso, Delacroix, and Degas. The rich, vivid colors of Conté Crayons mix together nicely, and a range of effects can be consistently produced. They are well suited for use on newsprint, bristol, toned paper or heavily grained surfaces. 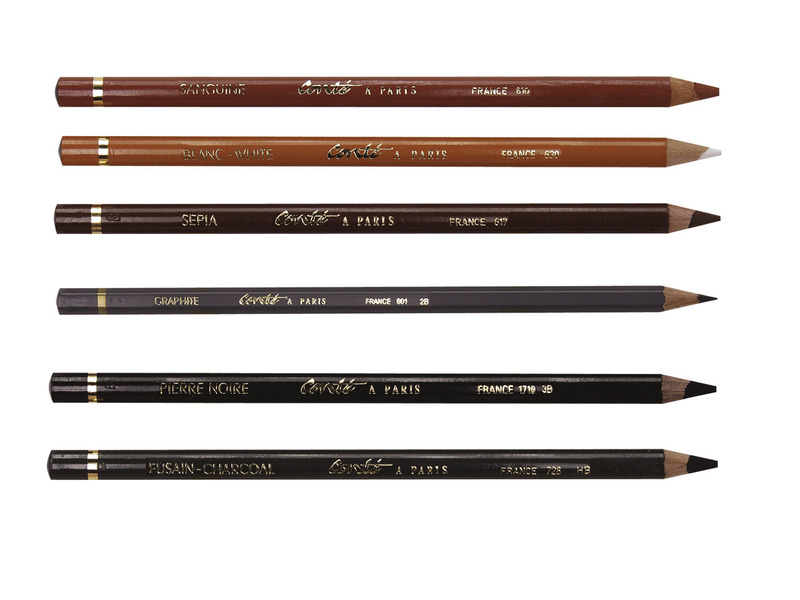 Their rich opacity makes them ideal for work on darker papers and their quality ensures the longevity of drawings. 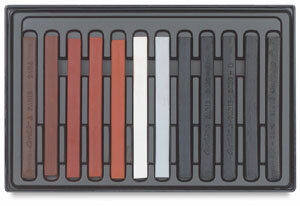 Conté crayons are waxier and much firmer than soft pastels, so they produce little dust and are easy to control. Sharpen Conté Crayons to a chisel tip with a sanding pad for detailed work or drag them flat on their sides for various shading techniques on large areas. The unique shape allows the sticks to be broken for easier use. Sticks are 2½" long × ¼" square (63 mm × 6 mm).